Thursday, October 15th, 2015 by XtremeKarting. Are you looking for a thrilling day out to entertain the kids? School holidays starting? Falkirk or Edinburgh – your choice! 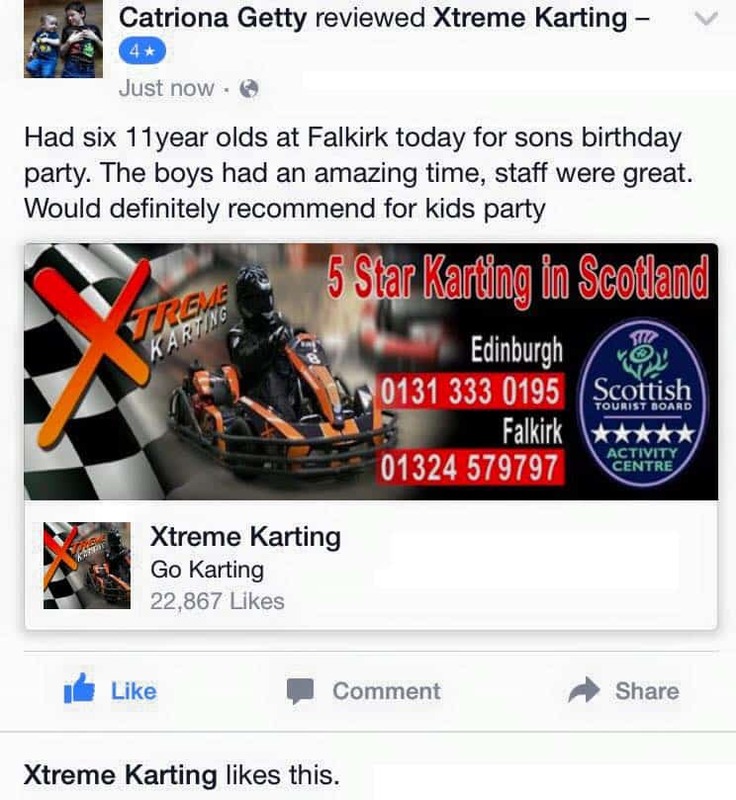 Come and race at Xtreme Karting for 5 star thrills! Thursday, October 8th, 2015 by XtremeKarting. October time means one thing…. darker nights and Night Missions at Xtreme Combat in Edinburgh! Even more thrills, even more fun! See Xtreme Combat for details! Wednesday, October 7th, 2015 by XtremeKarting. Woo Hoo!!! 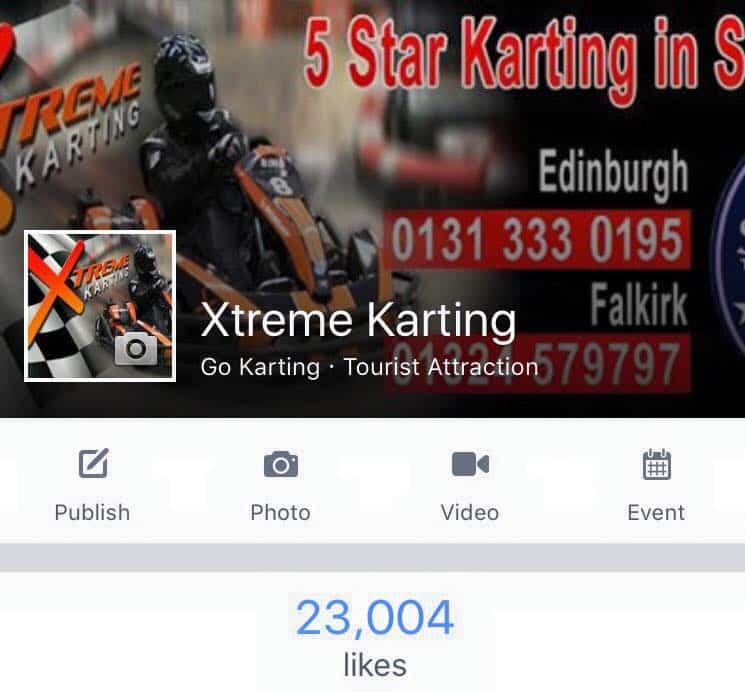 We are celebrating reaching 23,000 likes on our facebook page! To celebrate we are giving away 23 practice sessions! 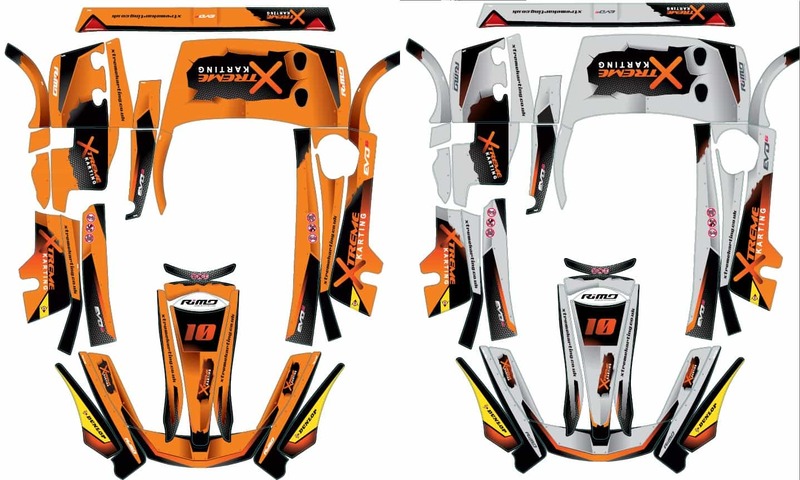 Looking for feedback on our new graphic scheme for our next fleet of karts! Wednesday, September 30th, 2015 by XtremeKarting. Help us choose – comment here! Tuesday, September 29th, 2015 by XtremeKarting. 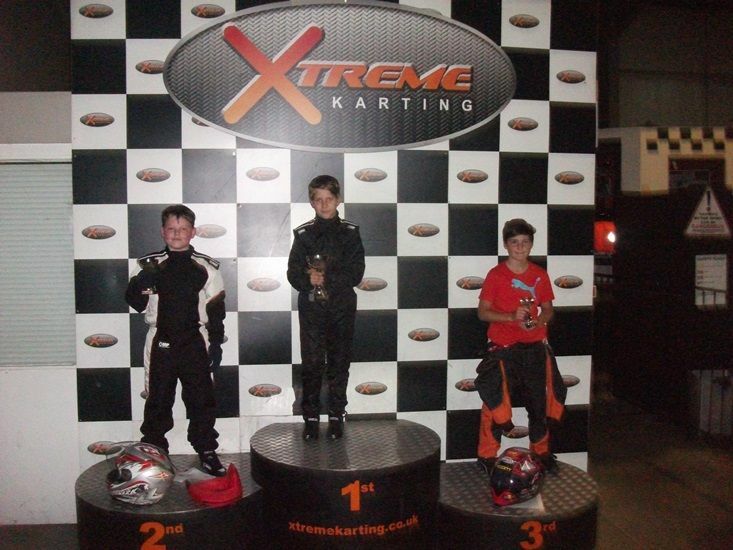 Xtreme Karting Falkirk held round 3 of our popular Junior Grand Prix Series on Tuesday 22nd of September. Yet again it was great to see even more new faces taking part from the recent Junior Race School with a great mix of new and “old” drivers racing. 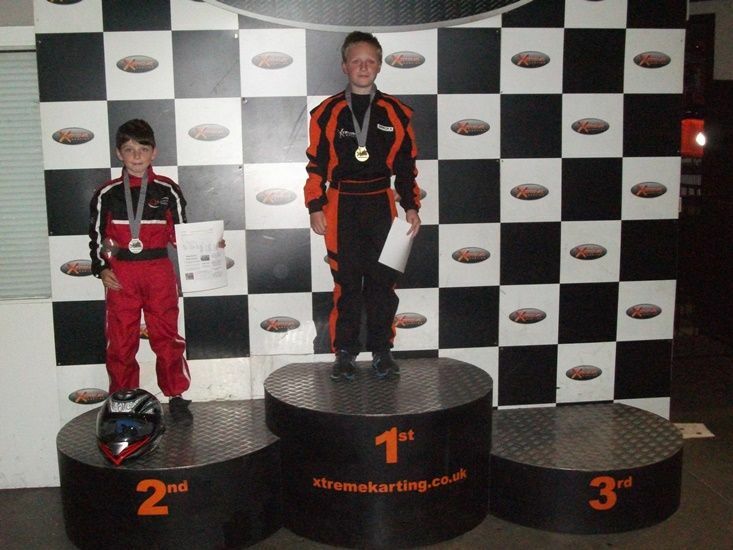 Our newest drivers pushed the more experienced drivers hard, with some terrific driving on show. Overall a fun, safe yet highly enjoyable and competitive night was had by all (possibly just as much from the parents). A huge well done to everyone that took part and we look forward to seeing everyone at the year finale on December the 8th. Make sure to book soon to avoid missing out! 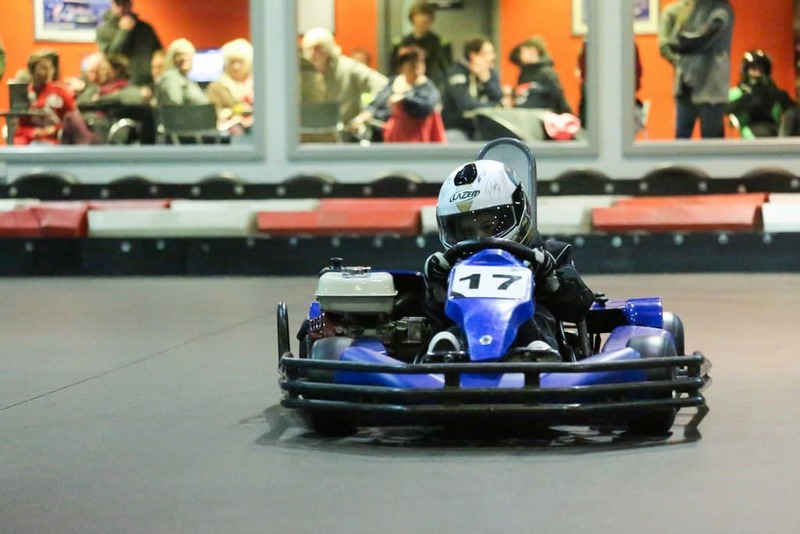 Any budding F1 stars out there aged 8-13? Thursday, September 24th, 2015 by XtremeKarting. Limited spaces remaining in our Race School this Sunday 27th Sept 9.30am to 1.00pm, at our Newbridge, Edinburgh centre! Call 0131 333 0195 to book your place! Friday, June 5th, 2015 by XtremeKarting. Looking to keep the kids occupied over the Summer Holidays? From 1.00pm through to 5.00pm on selected dates, drop the kids off and enjoy a stress free afternoon! Or stay, enjoy a coffee, chill with a book / free wifi! PPS Dates also available for Open Combat Ages 8+ – Call 0131 333 0195 for details! NB The summer camps are only available for ages 10-16 year olds. ONLY £30.00pp (normally £37.50pp) for 4 hours of FUN! Be quick to reserve your space! Thursday, May 14th, 2015 by XtremeKarting. 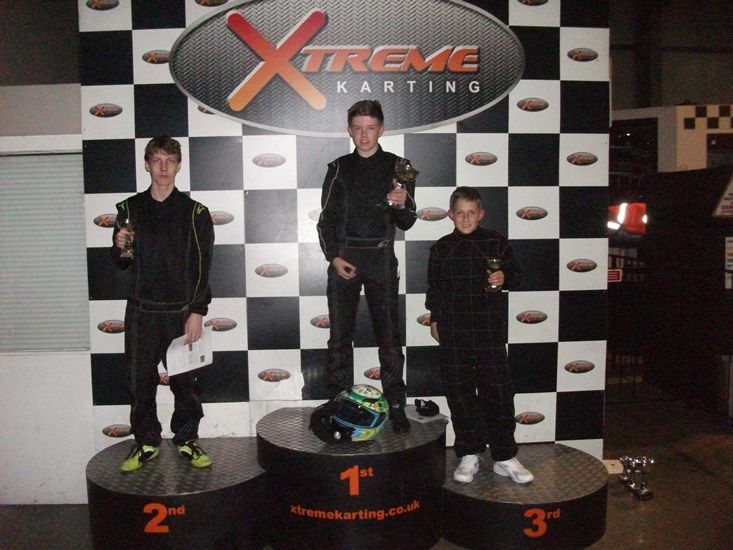 Round 2 of Xtreme Karting’s Junior Grand Prix Series that launched at the start of the year, took place on Tuesday 28th April. A few new, relatively inexperienced drivers entered and proved worthy competition for our regular members forcing them to improve their game! Please visit our facebook page to see the pictures from the event! Well Done Again To Everyone That Took Part!